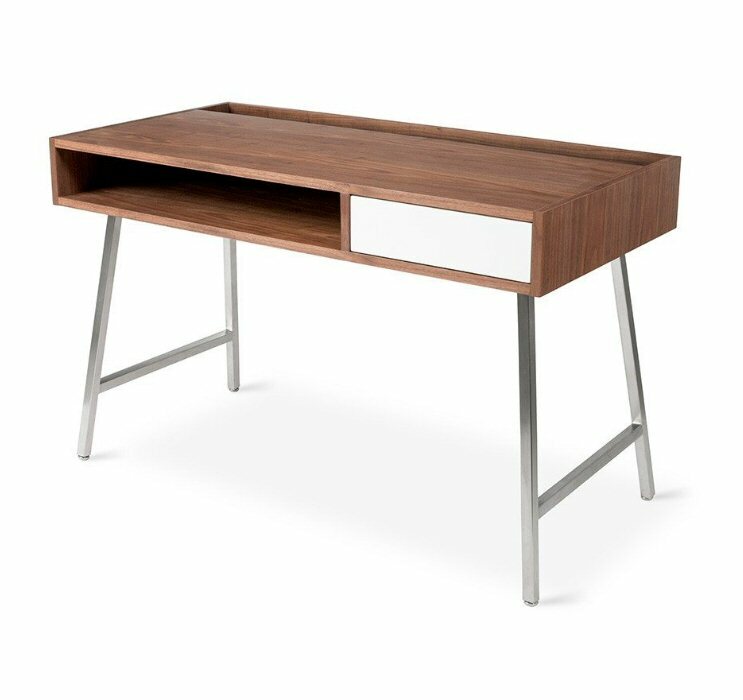 The Junction Desk by Gus Modern is a minimalist design that’s well suited for home office or open-concept living. 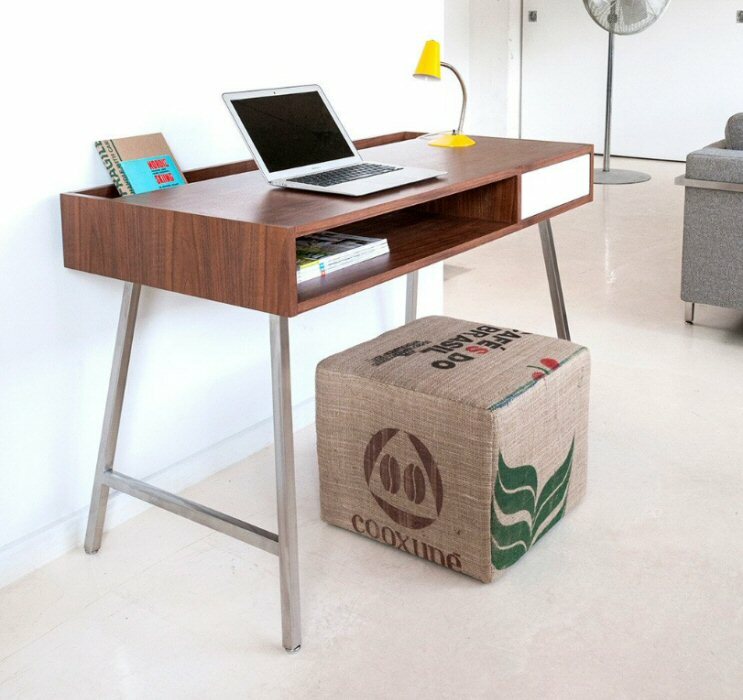 The open storage compartment can be used to store books and magazines, or as a handy spot to charge electronic devices. The writing surface has an open trough at the back to hold stationary or to attractively store and display books or artwork. Concealed, brushed metal fittings enable seamless cord management. 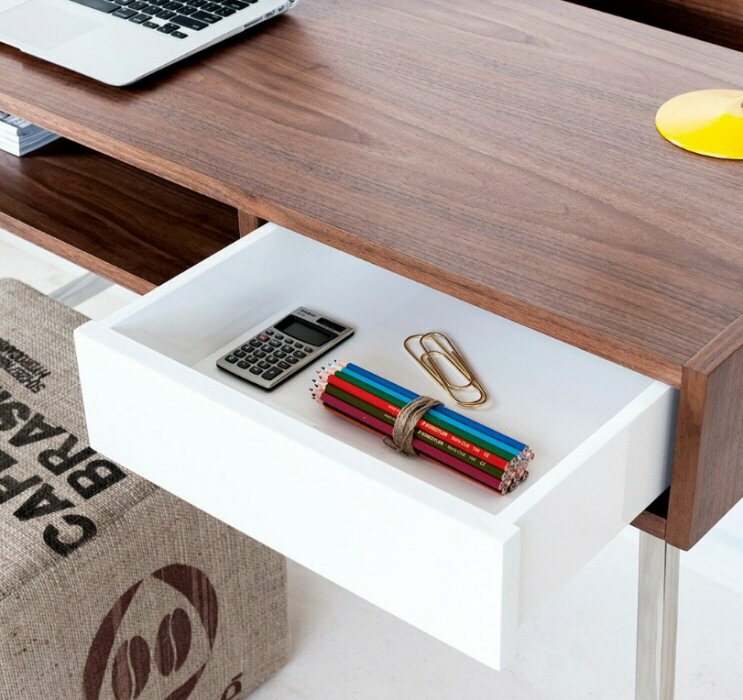 The single push-to-open drawer stores essential office supplies and clutter.